All across the United States, children are getting ready to go back to school. Some children are excited, and others are dreading the start of the school year enrolled in electrical technician program san jose. Likewise, parents are probably rejoicing in the fact that their childcare costs will go down once their munchkins are back in school, but they are also probably dreading having to shop back to school sales. Then there’s the rest of us. Childless adults who are mostly indifferent about back to school sales and shopping. But we shouldn’t necessarily write them all off. 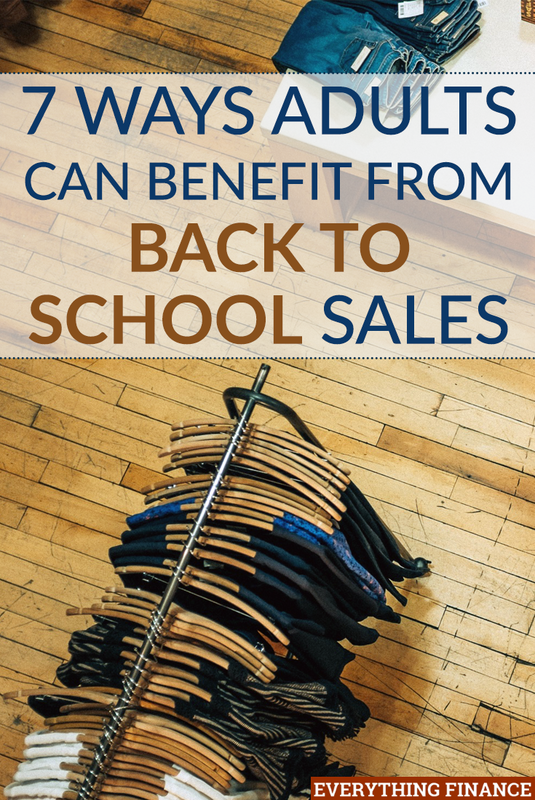 There are ways that adults without children can benefit from back to school sales, too. As a childless adult myself, here are 7 ways I’ve taken advantage of back to school sales to help me save money. Now is the best time of year to stock up on supplies for work or for your home office. Just because you don’t have children doesn’t mean you can’t buy some sparkly new pens, folders, or other supplies for your office. Basic things like reams of printer paper, expensive printer ink, notepads, and more, are usually all on sale this time of year. One thing worth mentioning is that you should probably shop in-store to get the best deals on office supplies because the shipping costs could negate a lot of your savings. Another consideration is buying a backpack and some school supplies to donate to kids in need. My local Walmart has a convenient drop box by the store exit so you can drop school supplies in there right after you buy them. They are donated to local kids who can’t afford to buy new supplies for themselves. Back to school sales will make your donation dollars go further. Office supplies are not the only thing on sale during back to school sales. Many teachers’ supply lists these days also contain non-traditional items such as paper towels, facial tissues, plastic baggies, hand sanitizer, and more. Stores have picked up on this trend and have added many of these items to their back to school sale offerings. College students heading off to live on their own for the first time are another reason household basics are on sale. Thus, things like skillets, basic kitchen supplies, and more, may also be on sale during this time of year. This is another way that childless adults can save money during back to school. If you use any of these items around your home, stock up on extras while these things are on sale. Then you can live off of your “stash” for a while and not have to spend money on these household basics when they are more expensive later on. Or you can replace some of the items in your kitchen while they are on sale for college students. Back to school sales are also for young adults getting ready to head off to college for the first time. These students are usually more interested in storage and organization items than a new notebook and colored pencils. Thus, stores have more options available for storage and organization items to help these young adults organize their new living spaces. Even if you aren’t headed off to college, you can take advantage of these items being readily available, and usually on sale, to help you get your home organized, too. Another popular category during this time of year is home decor. College students love to decorate their dorm rooms and apartments, so most stores have home decor items on sale. Although you may not want to decorate your home in “college student chic” style, you may still be able to use some of the home decor items that are on sale. For example, a couple of years ago, I bought some rope lights to use with my outdoor dining set and umbrella. They were on sale in the “dorm decor” section. This one is pretty obvious, but it’s worth stating. Back to school clothes shopping means retailers have almost all of their clothes on sale, not just the ones for little kids. Teenagers often have to shop in the adult men and women’s sections of the store, so all of those clothes are going to be on sale, too. If there are some items you need to replace or update in your wardrobe, back to school is a good time to do so. Just be careful not to go overboard with shopping, and watch out for quality vs. quantity during this time of year. Convenience food is not usually the healthiest or cheapest option, but it does go on sale during back to school time. Things like fruit cups, cereal, and chip packs are on sale for children who take their lunches to school and college students looking to stash some snacks in their dorm rooms. Even as an adult, you might enjoy eating these foods now and then. You can use these grab-and-go foods for road trips, or easy snacks when you are on the move. Thinking about getting a new computer, printer, tablet, or other electronic device? This is this the time of year to do it! Older students heading back to high school or college are buying these items to help with their school work, but childless adults can take advantage of these items being on sale, too. Sometimes these items aren’t on sale, but stores will offer package deals to help you get accessories or software for free when you buy the hardware. Software and accessories are expensive, so these bundles are a good way to save money. Being an adult without children doesn’t mean you should ignore all of the back to school sales and advertisements. There are still ways you can take advantage of some of these sales and products to help you save money. If you are a childless adult, do you shop back to school sales? Or were you not aware of all the things you could be saving on?